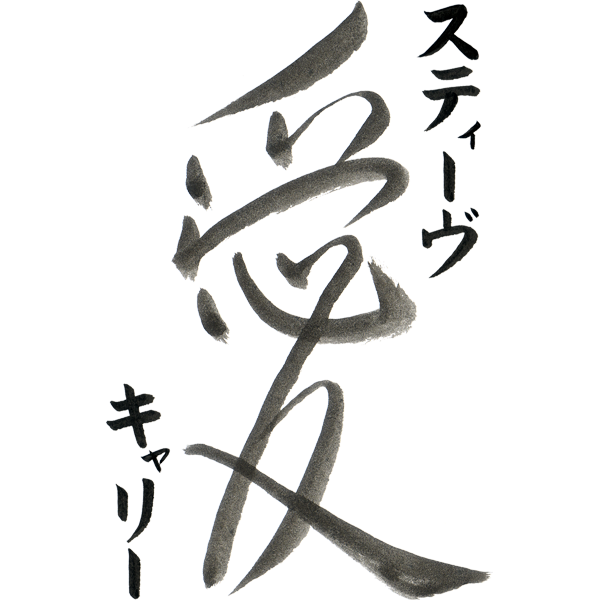 This custom Japanese tattoo design features an original design for SoulMates which combines the kanji 魂 (read tamashii) meaning “soul” and the kanji 友 (read “tomo”) meaning “mates” into a single design. The SoulMates design connects the two names on either side. 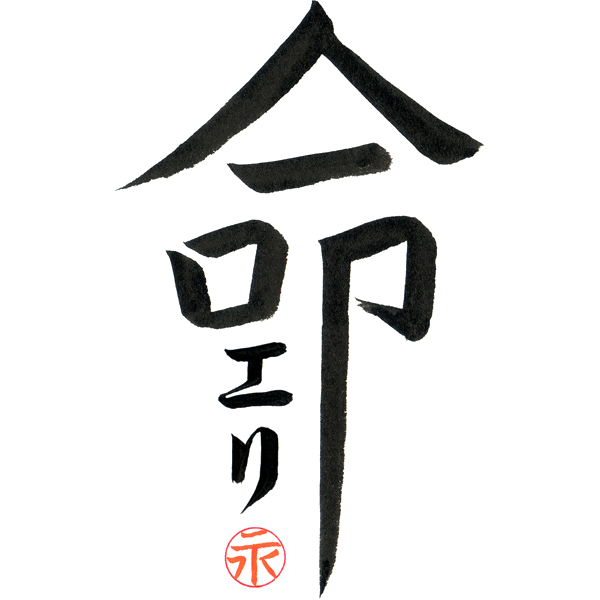 The names are translated using katakana which is the standard way that non-Japanese names are rendered in Japanese. This is a completely custom design where we work with you on the translation, font and look of the design. The final design is emailed to you in Adobe PDF format and this has everything you need to get the design inked, including a detailed explanation and the line art which your tattoo artist must have to properly ink the design. 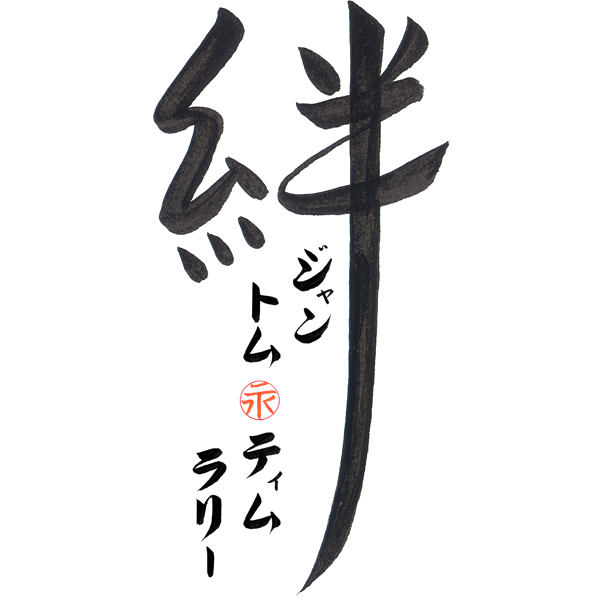 Simply take this to your tattoo artist and you will have an original Japanese tattoo design that is unique and just for you. The process is fun and informative and can be completed in as little as a few days. The names are translated to Japanese using katakana which is the standard way non-Japanese names are written in Japanese. This is purely a phonetic translation so the characters have no meaning and so there is no possibility of strange or bad meanings. 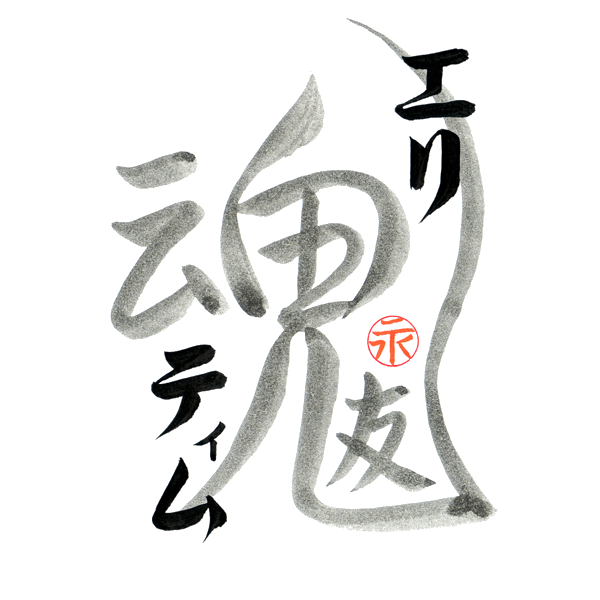 This is a completely custom design and you will be working directly with Master Japanese Calligrapher Eri Takase to make the design exactly the way you want it. To begin, let us know the names in the description and if we have questions about the pronunciation or any details we will discuss these with you as part of the design process. Takase Studios has both native English and native Japanese speaking translators so you know the translation will be absolutely correct. Further, we provide you with dictionary references and additional resources. This way you will be completely comfortable with the translation. Along with the translation, we also work with you on the font and layout. We do this by emailing you samples that are hand-lettered by Master Takase. We then discuss and modify the design as needed. In this manner, you will have input into each step and we proceed in this fashion until the design is exactly the way you want it. We work with you to create a design that is just for you. The final design is delivered digitally in Adobe PDF format. This means the final design will print out just as Master Takase designed it. The final design includes the original art, the matching line art that your tattoo artist will need to ink the design, and a description of each element in the design – the English, the Japanese reading and the Japanese text. The design is well documented so you know exactly what the tattoo says.